Welcome to this warm and inviting home nestled in a family friendly neighbourhood of popular Bronte! Just steps to Shell Park, lakefront trails and close to downtown Bronte shops, restaurants and conveniences. This quiet pocket with no through traffic offers so much to the entire family! Newly constructed and beautifully crafted, this stunning custom residence was designed to satisfy the demands of the most discerning buyer. Fully finished on all 3 levels, entirely landscaped and hardscaped (with a mesmerizing infinity pool and cabana), there’s nothing left to do but move in and enjoy the opulent lifestyle offered here. Buying a home is a huge investment. You’ll have to take every precaution you can to ensure that you don’t end up wasting any of your money. This is why a home inspection is a must when looking for your new home. Below are the top 20 things you must check to ensure that the sellers are not just forgetting to disclose possible issues. The recently renovated home is directly beside a large green space parkette trail where kids can safely play, all within view of the kitchen window! The home offers over 1,970 square feet of finished living space over three levels. From the front wrap around porch you enter into the foyer and family room with soaring vaulted ceilings. Welcome to the largest working organic lavender farm in Ontario! ‎Over 56 acres of spectacular fields of purple, with its perfumed air to stimulate your senses. Eight varieties of lavender including culinary varieties, and over 37,000 plants combine with a wide variety of agro-tourism experiences to make this an absolute paradise! Imagine strolling through fields of lush purple lavender, inhaling it's heady scent, while you take in the natural benefits of stress relief and relaxation. Wander through the rows of intoxicating plants and appreciate their beauty and natural uses. This extraordinary riparian lakefront home was designed by renowned architect Gren Weis. With natural light, flow and panoramic lake views in mind, the concept includes several skylights, a plethora of plate glass windows to maximize lake views, and unique architectural details. Circular and wave-like motifs are found throughout the home, in ceiling details, walls, staircase, mirrors and architectural windows. This creates visual interest and the harmony of continuity and flow. Kitchens won’t be kitchens without storage these days. Aside from storing cooking implements, kitchens now have to have dedicated spaces for décor, collections, and food; but why settle from plain cupboards when your kitchen storage solutions can be better? The kitchen storage solutions below are far from the predictable cabinets of yesteryears. Use one or use all for your kitchen. You’ll sure relish the extra storage they’ll bring! 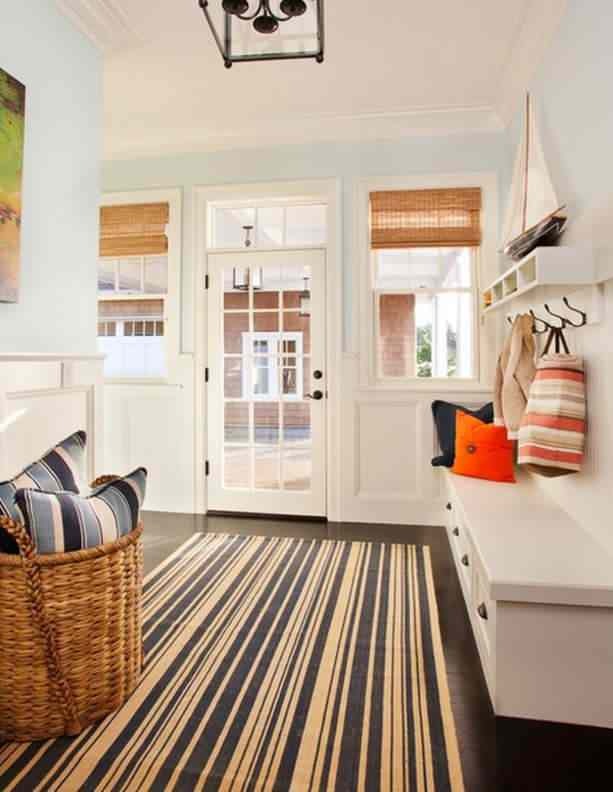 An inviting entryway is what other people will see when they first come to your home. It should be a reflection of your style and aesthetics, make you feel home as soon as you walk through the door, and make other people that they’re welcome in your space. Doing all of these for your entryway can seem like a daunting task but with some help below, you’re surely be able to create a space that’s uniquely you! Professional kitchens are a joy to cook in because they’re designed to be both efficient and safe for people. Using a few of a restaurant kitchen’s key design elements can transform your home kitchen into the kitchen of your dreams. 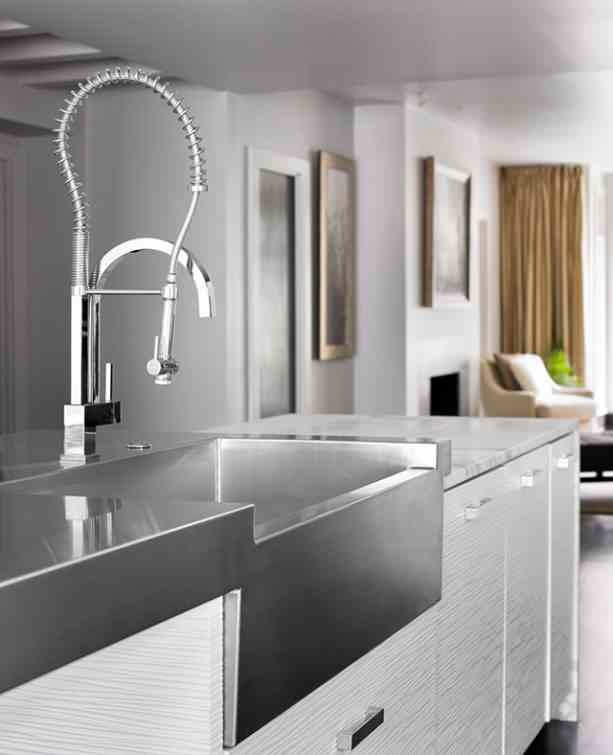 Take a look down below for some kitchen design ideas from commercial kitchens that will surely work great for your own! Check your mailboxes...invitations to our Grand Opening have been sent! Located at 331 Sheddon Avenue, these 19 single floor estate flats set a new precedent for modern luxury in Olde Oakville.